A well known supplement suitable for athletes and dieters looking for losing weight. Use it for post-workout recovery and feel your energy and performance increase! 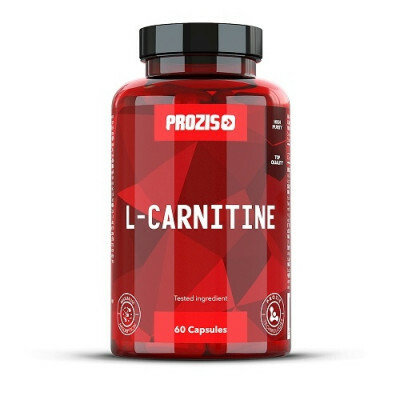 Prozis L-Carnitine 1500 mg is an extremely efficient source of L-carnitine and a valuable ally to help you boost your results. 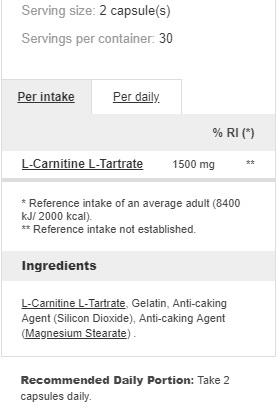 At 1500 mg of L-carnitine per serving, this supplement is the best way to get the power that this amino acid can provide. So if you are serious about your diet and sports performance, L-Carnitine 1500 mg by Prozis will help you achieve the results you are working for.